Our monthly roundup of everything on the web that the Blueleaf team deem worthy of showcasing. The good, the bad and the ugly but largely the awesome. Remember you can join in too using #blShowTell on Twitter or on our Facebook page. A very grand mobile with a very grand website and all yours for just under $15,000! We'll probably give this one a miss, so if you buy one please can you let us know what it's like? Frequent flyer? Bored of the in-flight movies? Imagine a cabin where the windows are display screens, relaying a choice of views from around the aircraft. Not one for the apprehensive flyer. 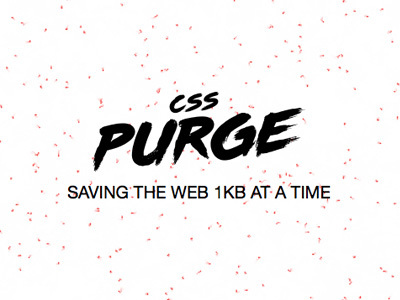 CSS is getting out of control, but you can help save the web 1KB at a time! Spring clean your code. Do you work in a busy office with very chatty colleagues? Why not drown them out with the soothing sound of wind, bird song or rain? This edition of Show and Tell is a developer's dream. Here's a library of useful JS and CSS code. Never got the right card when you want it? Plactc Card puts all your payment cards into one sophisticated device, allowing you to pay any way and anywhere you want. Just don't lose it!